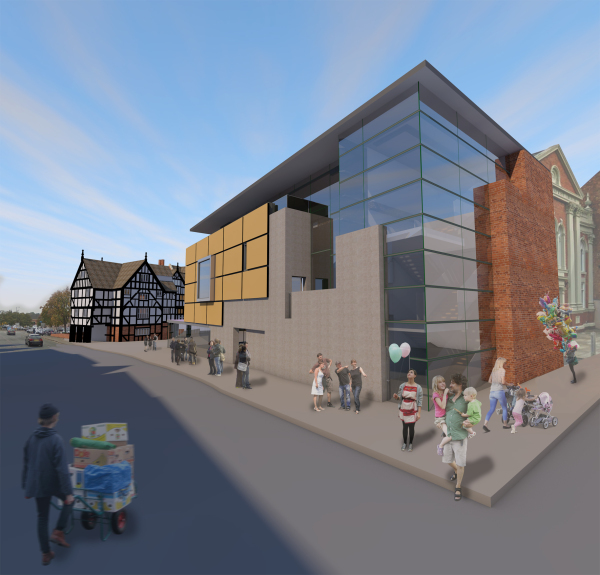 A design for a re-development of Shrewsbury Museum and Art Gallery with new tourist information centre. Baart Harries Newall won the commission via a process of competitive interview. The project involved incorporating, and transforming, existing museum facilities, housed in a seventeenth century warehouse and mansion. These facilities were to be extended by developing the adjacent site currently occupied by a car park. The proposed scheme would create a new town square, part framed by the existing historic buildings, part by new, contemporary architecture. 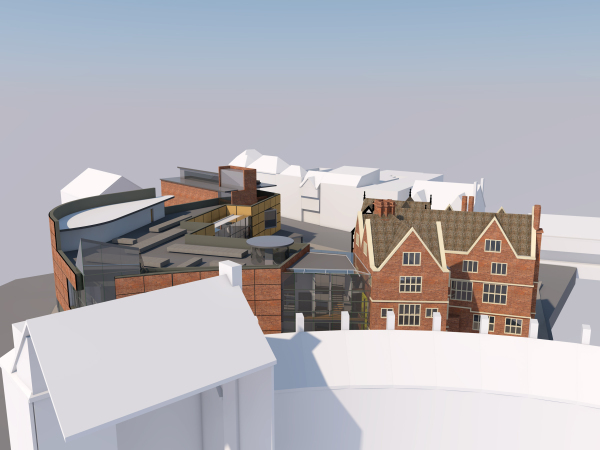 The accommodation would include permanent and temporary exhibition spaces, a Category A exhibition space, a lecture theatre, a restaurant and a sculpture garden on the roof of the proposed extension.